I can’t believe tomorrow is THE DAY. I’m actually a little worried that I’m hyping it up too much in my head and I’ll end up disappointing myself. But if my friends can be trusted, I am about to experience one of the craziest things I’ve ever been a part of without having a single drop of liquor pass between my lips. No. Way. The sheer magnitude of this beast known as SDCC hits me when I finally printed out all the panels information from Wednesday to Sunday. I hit the happy “print” button for all five days and proceeded to wait. A minute passed and it was still spewing out papers. I watched it with a sprinkle of amusement and thought “Wow. Maybe my printer’s just really slow” right before I wandered into the kitchen and lost myself in all the goodies I found at the Japanese market the day before. I managed to drag my way back to the printer after gobbling my way through a week’s worth of empty calories only to be confronted with the fattest packet of papers I’ve ever seen. For a brief second, I thought I printed out the manuscript describing how Doc managed to turn his DeLorean into the baddest time machine E-V-A-R…and then I realized I was staring at the freshly printed schedule for Comic Con. Omg…. I spent most of the weekend in agony because I simply could not figure out how the hell I’m supposed to go to all these things that I MUST go to when they all start at the same time! Why do these people who manage this behemoth of an event NOT KNOW THAT I CANNOT MANAGE MY TIME EFFECTIVELY AS A COMIC CON VIRGIN??? And how did they know I have a problem with picking only one thing when confronted with a choice? Why do I have to choose? Why can’t they not only give me a bunch of hairless cabana boys to be my personal guides but make 5 exact replicas of Bonnie N. Clyde so that all six of us can hit up all the things I want/need/HAVE TO see? And we could all be mind melded into some kind of super secure BonnieSys (the fantabulous version of LinkSys but instead of connecting me to the Interwebs, I could connect to the other versions of myself) to better facilitate and digest all that we see. I think this is something the people at Comic Con need to seriously consider because I don’t think they understand just how heartbreaking it is to have to choose between two things you love equally. Case in point - The X-Men panel versus the G.I. Joe/Transformer one. On one hand….I used to terrorize my boy classmates during recess when I was in kindergarten because I swore I was Scarlett and they were all members of Cobra. Such fond memories although there’s the possibility the feeling might not be mutual. And Transformers!! Omg!! Transformers!!! My love for them is no secret since that was one of the first things I kept going on about the first time I wrote on YouBentMyWookie. But it’s also X-men!!! I adoooooore the X-men…and it sounds like they’re going to be discussing the Dark X-Men story line. I love it. Further confirmation came in the form of the Los Angeles Times and their aptly titled article “Burning Questions For Comic Con”. Since I’m faced with my own burning question (X-MEN?! GI JOE/TRANSFORMERS?! What do I do…what do I dooo??!!) and I can’t solve it, I figured I’d give some of their questions a go and see if I can’t answer some things for them. 1. “True Blood” vs. “Twilight”. Can They Get Along To Go Along Or Is It Straight For The Jugular And Go For The Kill? I love vampires. Oh my friggin’ God, do I love me some blood suckers. This obsession goes back to when I was just a little girl…which kind of implies that I wasn’t exactly your average Barbie obsessed little girl…although I did like Barbie a lot despite her inability to mighty morph into a fighter jet. My obsession got a shot of nitro when I hit upon the ‘Twilight” series and fell completely in love with Edward/Jacob. Blood sucker? Doggie? Why can’t I have both?! Edward is the hottest vampire I’ve come across so far but the image assigned to him is not the one I have of him in my head simply because Edward Cullen is not Cedric Diggory. Sorry. 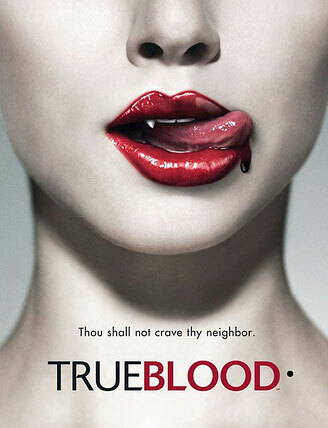 I’ve never seen an episode of ‘True Blood” but I hear the books are pretty good. The question posed by the LA Times was if the two franchises can exist side by side. I say “no” because even though I have no clue about who Bill is and what he can do as a vampire, I still say he can whup on Diggory. 2. “Princess And The Frog” vs “Toy Story”. Girls Against Boys. I love Pixar. I love everything they’ve ever come out with. Having said that, I grew up on the story of the Princess and The Frog. I also grew up on animation that didn’t require farms of computers to spin into reality. I like it old school and my parents convinced me at a very young age that I really am a princess. Therefore, I say Beauty trumps Balls in this round. 3. Casting For “Green Lantern” vs. “Thor”. The Hottie Or The…OMG IT’S RYAN REYNOLDS!!! Cupcake, I will forgive you for not being there at Comic Con so that I might see you live and in living color. I will still adore you and watch all your movies. Um…and then something about a really pretty girl who played the Queen of some crazy intergalactic battle thingy. Ryan Reynolds….. * drool * …..
I’m sure the Los Angeles Times is very happy I tackled some of their more pressing questions for Comic Con. I. Cannot. Wait. I totally have to pack now. See you all there! Is The ‘Avengers 4′ Trailer Coming This Year? You are such a noob. Wow, sound like fun. True blood vs. Twilight? TRUE BLOOD!